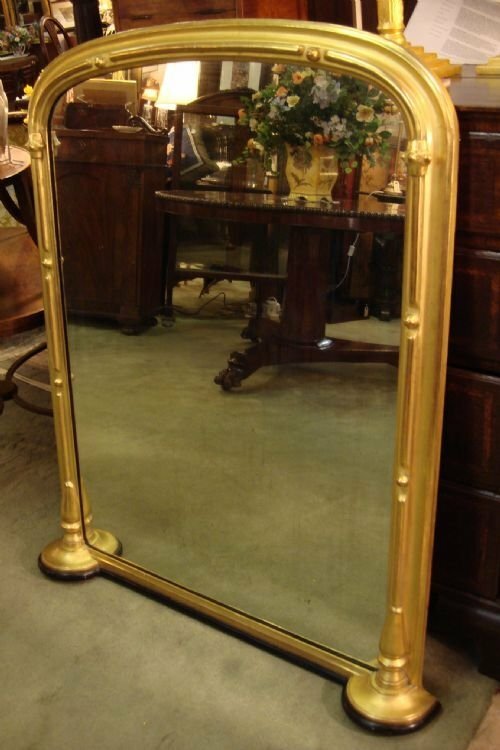 Large 19th century Victorian impressive gilt mirror with good proportions. 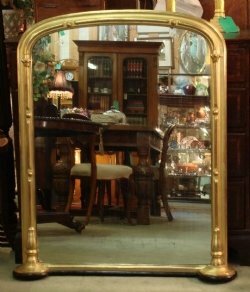 Large 19th century early Victorian substantial wood and gesso antique gilt mirror with impressive carved frame, curved corners to top inner frame, and beautifully carved large scrolled corner detail. In very good condition having new glass. Size-38.5 inches wide by 46.5 inches high. 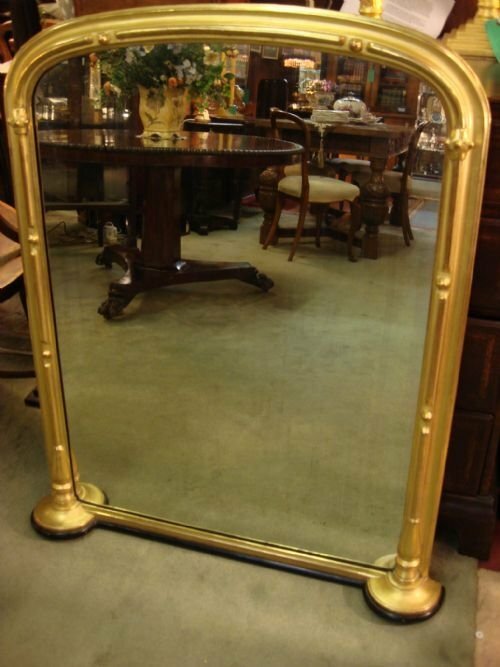 The proportions of this mirror make it useful for over a fireplace, sideboard, or console table. It will be a gorgeous focal point, and the finishing touch necessary for any room. 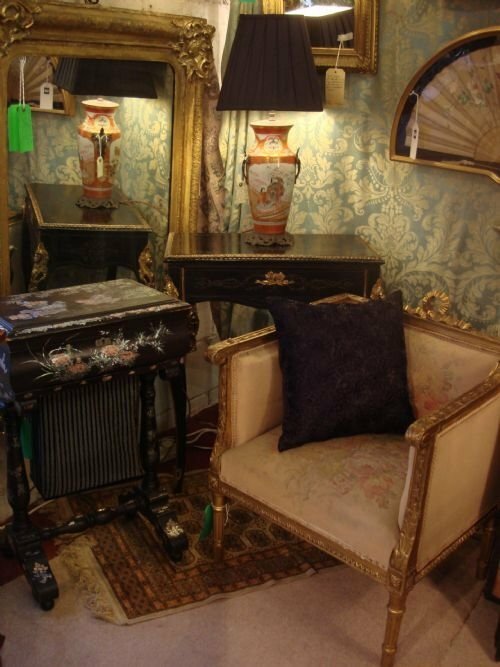 19th century gilt wood and gesso large girandole mirror surmounted with classical urn and swags, and with three candle branches with acanthus leaf decoration, beautifully canted near candle holders. Original glass. In original excellent condition, sure to be the focal point of any room. Size approx. 42 inches high by 22 inches wide. 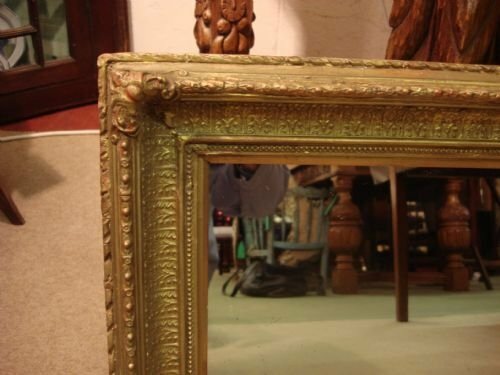 Circa 1830 William IV gilt wood triple plate wonderful mirror in a carved giltwood foliate frame. With beautiful accent carvings to corners, over pillars and tulip carved bases. A very classic and elegant design, in very good condition. 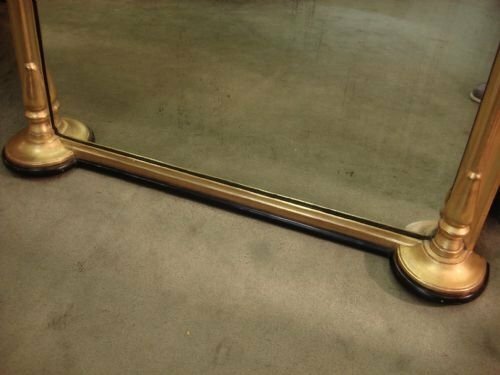 This would look stunning over a fireplace, sideboard, chest of drawers or side table. Size 45 inches wide by 27 inches high. 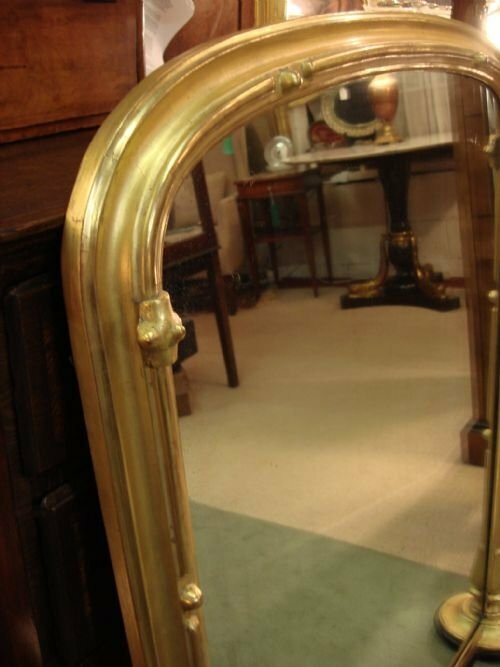 19th century unusual gilt wood overmantle mirror. Very pretty 19th century gilt wood overmantle mirror with unusual and interesting carvings and arched shape to top, and curved column base to sides, standing on a shaped ebonised plinth. The gilding is a very nice colour and in very good condition. The original slightly foxed mirror glass was rebacked with new wood in the 1990's, and the base of the mirror was reinforced in recent times with a new ebonised plinth, which is very complementary and attractive. Size-42.5 inches high by 33.25 inches wide at shoulder and 36.25 inches wide at base. Interior glazing is 38.25 inches high by 28.25 inches wide. A very attractive gilt overmantle mirror, which would look lovely over a fireplace, on a wall, or standing on a sideboard or another piece of furniture. 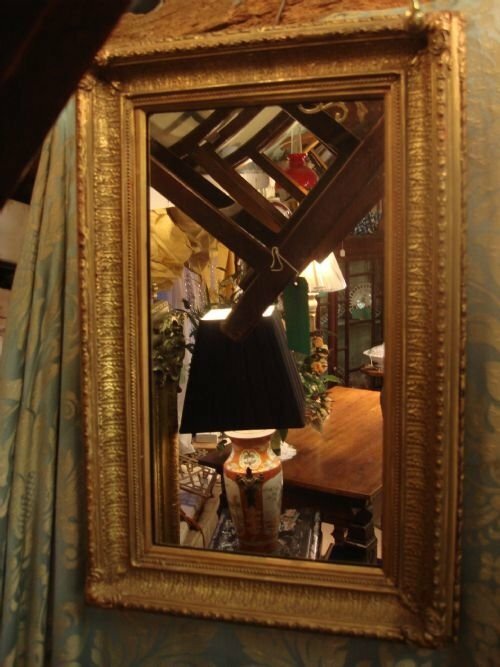 An elegant focal point for any room, in very good condition. Unusual and large Edwardian period mahogany heart shaped mirror with original bevelled glass, having a generous bevelled edge. Size-32 inches long by 28.5 inches wide. 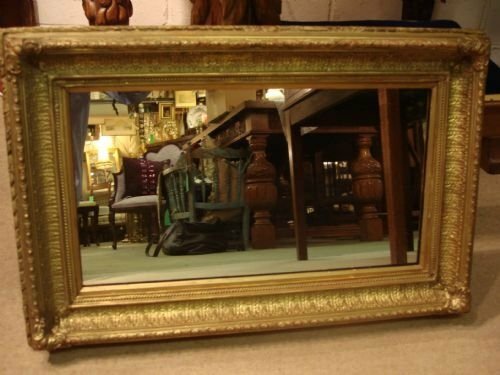 19th century pretty gilt framed mirror having the original glass. 23 inches high by 15.5 inches wide. 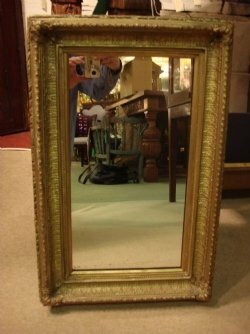 A lovely antique mirror in a good size to use in any room.